Cary, North Carolina is the home of Sandez Family Chiropractic & Wellness Center. A mainstay on a number of national “Best of” lists for its quality of life, Cary offers its residents an ideal combination of steady growth and hometown ambiance. 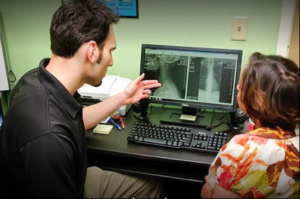 Sandez Chiropractic provides Cary residents with a full range of chiropractic care services. Sandez offers chiropractic adjustments, rehab & chiropractic care for victims of auto accidents, exercise therapy and traction therapy for patients with acute or chronic injuries, chiropractic Electronic Muscle Stimulation (EMS), specialized chiropractic care during pregnancy as well as for infants and children. Cary is the seventh largest city in North Carolina, but for much of its existence it was a very small town. Founded as a small settlement in 1750, the settled area known as Bradford’s Ordinary received its first notoriety roughly a century later, when the North Carolina Railroad was routed through the small settlement. This development led a local farmer to begin planning a town he named “Cary,” in honor of Ohio Congressman Samuel Cary. By the late 1860s the town had become a notable railroad stop and boasted its own hotel and other businesses. For nearly another one hundred years, Cary remained a sleepy little town, with a population of less than 10,000 people. At this point, as the overall Raleigh – Durham “Triangle” area began to experience massive population growth, Cary’s town leaders began to create zoning plans, to try ensure steady manageable growth. Within the past 20 years, the Cary population has increased by over 100,000 people, to a present total of approximately 143,000 residents. Today, Cary is home to a number of thriving businesses and corporations, such as SAS — the worldwide leader in business analytical software and one of the most admired companies in the country. 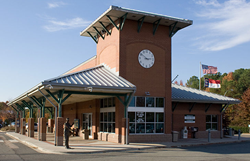 The Town of Cary is known for the quality of its work force, housing, parks and transportation. Cary is also consistently recognized as one of the safest large communities in America. Sandez Chiropractic is proud to be a part of the Cary community, and honored to provide chiropractic care & services, massage therapy and wellness solutions for our friends and neighbors near our practice. When you require the services of a qualified, experienced chiropractor, we hope you will call on Sandez Chiropractic for the best in chiropractic care. For more information about the practice or to schedule an appointment please call 919-535-3091 or fill out our Online Form.